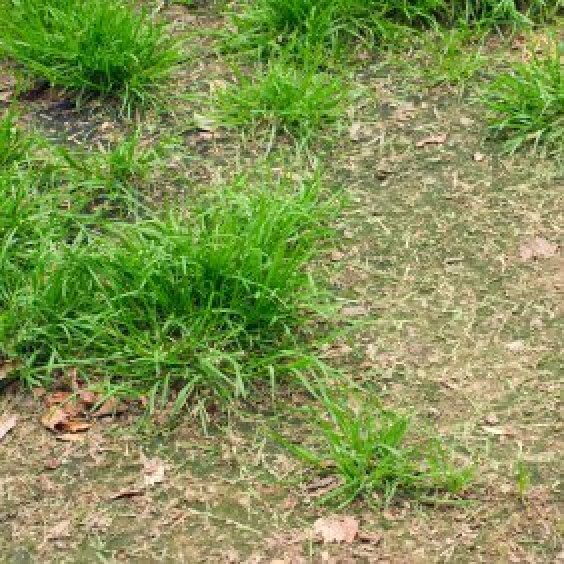 Do you have an unhealthy patchy lawn? 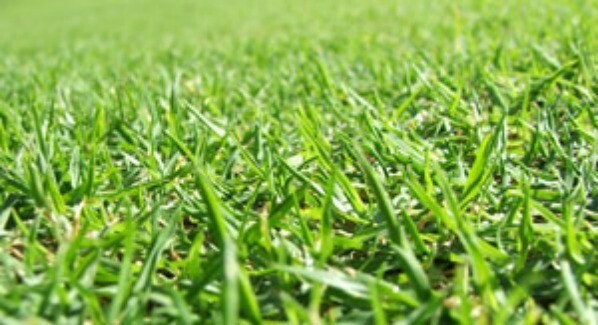 Making your own lawn fertilizer provides you with the opportunity to go as organic as you like. There are a myriad of fertilizer recipes to choose from many containing household products. 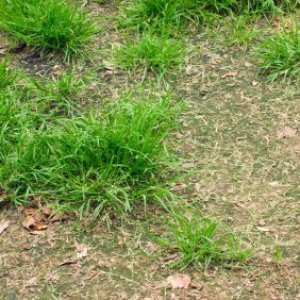 This page contains homemade lawn fertilizer recipes. Pour into a 10 gallon hose end sprayer and apply about every 3 weeks. Works really well. People are always asking my husband how he gets the grass so green. Does anyone have a homemade lawn fertilizer? Mix these ingredients into a 10 or 20 gallon hose end sprayer and apply evenly to the entire lawn in early mornings or later evenings. Water well. 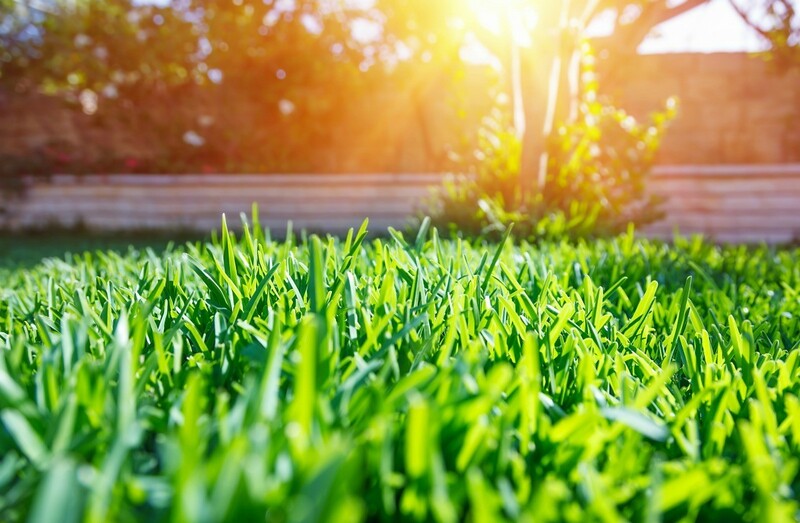 You'll find your lawn will need less water during droughts. Feed every three weeks or year round in warmer zones. The beer in these recipes promotes microbial activity (same goes for the tea, soda, corn syrup and molasses). Ammonia breaks down into nitrates, which provide the plants nutrients. This nitrogen also helps break dawn thatch into nutrients the lawn can take up. The soap helps the solution spread more evenly over the lawn as you apply it. And the mouthwash contains alcohol, which acts as an irritant to many insects. Occasionally you may also run across a recipe containing tobacco. This also acts as an insecticide. I've never tried them, but these recipes are supposed to work on both your lawn and your flowers. Here's a great tip for you gardeners. You can buy a large bag (approx. 20lbs) of oil absorbent from your local auto parts store for less than ten dollars, and it has multiple benefits. It also acts as a great fertilizer; says so right on the bag. My Japanese Red Maple loves lots of fertilizer, so if you have one that is not flourishing with a good rich color, give it more fertilizer. Triple 13 works well also. But, with the oil absorbent you get the extra benefit of drying up spills and oil leaks, as well as the added benefit of fertilizing your rose bushes, trees,shrubs, and of course the Japanese Red Maple. Happy gardening. Editor's Note: Make sure that you get the type of oil absorbent that is OK to use as a fertilizer. Most are made with wood chips or some other natural material. Mix all these together, in the proper amounts, poured it into a 10-gallon hose-end sprayer, and apply it to a lawn while you water. Dissolve the Copper Nitrate in water and use on approximately 1000 square feet of lawn. Apply by spray with weed sprayer. Apply 30 days later to kill any new growth or to fertilize the lawn if desired. Question: What Is a Hose End Sprayer? 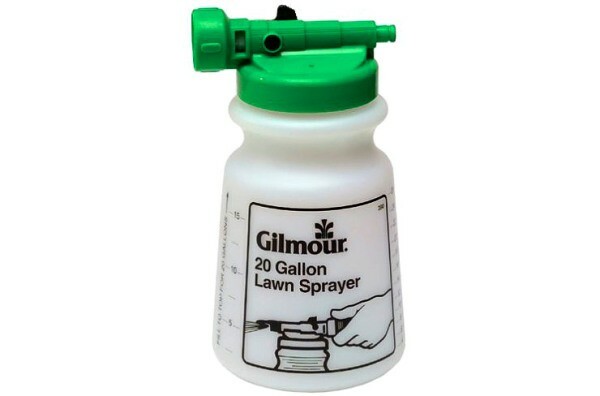 When making homemade lawn fertilizer you say to use a hose end sprayer; what is this? It's a nozzle to help distribute products evenly. You buy the sprayer at any garden center. It screws onto the hose and will dilute it to the correct proportions for your lawn. hose is a garden hose. sprayer is the nozzel that goes on the end. The other thing you can use is a hand held tank that has a hose and sprayer attached to it. Wat setting should u use on ortho dial spray to equal a 10 gallon sprayer? I am looking for a lawn spray you can make with liquid detergent, water, beer, and ? I don't know the other ingredient, the amounts of each to use, or how to use, but heard it works very well. Does anyone know? I have lost my Jerry Baker recipe for a spray to get rid of mosquitos. I used it last year and it was great! It used lemon dish detergent, dog flea detergent, and ammonia. Help me! Is there a homemade recipe for liquid lawn fertilizer that can be used in a 25 gallon tow behind liquid sprayer? I have a John Deere sprayer. You may have to take a 5 or 10 gallon recipe and multiply to get your 25 gallons. I feel sure there are simpler recipes to be found also. Here is a quote: "Master Gardeners for Lawns recommend a concoction of 1 can beer, 1 cup ammonia, 1 cup dish soap, 1 cup liquid lawn fertilizer, 1 cup molasses. Hose end sprayer @ a 10 gallon rate evenly spread. Here is a link to a similar recipe (which I also plan to try). From garden-counselor-lawn-care.com:1 cup of plain liquid dish soap (not detergent) 1 cup any brand liquid lawn fertilizer (like Miracle Gro) 1 cup of molasses or corn syrup. Mix these ingredients into a 10 or 20 gallon hose end sprayer and apply evenly to the entire lawn in early mornings or later evenings. The recipes tell you what to use and the amount, but not how much it will make. How do I find out the coverage? You might just have to make a batch and experiment. Without posting the recipe, we would have no idea. Less is more. A lot of these fertilizers are made in a pail. You can get a gadget that attaches it to the hose as well. I would walk around and make sure all the grass gets a sprinkling. If your lawn doesn't look good, then you can add more. There are some recipes for homemade fertilizer on this site. Is this fertlizer safe for pets and kids to walk on right after application? You must query the provider of the fertilizer infomation. Note-in a recipe, each ingredient may be safe for children and pets, however, a large amount of any one ingredient or a combination of two or more ingredients may be a problem. I doubt any of the providers can guarantee safety concerns. I accidentally deleted the recipe for homemade lawn food, I know it had beer, dish soap... Help! I read the various recipes for homemade lawn fertilizer. My question is how much to make for a 6 gallon tow behind pressure sprayer? I used to have one with beer, some kind of dog shampoo, a golf ball to keep it shaking, Weed and Feed, and maybe something else. It was safe for kids and animals to go on it right away. Any suggestions. Thanks! The homemade liquid fertilizer recipe of beer, pop, etc. How big of an area does this cover? Question: How Much Homemade Lawn Fertilizer To Use in Hose-end Sprayer? I have a recipe for lawn fertilizer made with beer, ammonia, dish soap, etc. You're supposed to mix it with water in a 5 gallon bucket. But I want to use one of those containers that you attach to your hose, (one which previously had a fertilizer mix in it). How do I know how much ratio wise, that I should put in the container for the water from the hose to mix with it as it's spraying? A well watered lawn can be a haven for mosquito larvae and make your yard practically unbearable during the Summer. This is a guide about recipe for a green lawn with no mosquitoes.